PHP source code for multiple images upload & download: Plogger is an open source gallery script which is written in PHP and MySQL. 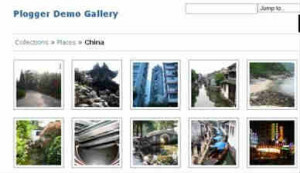 Users can create ultimate galleries for their website. It provides the next generation photo galley facilities. This is a simple and powerful PHP project. It has various features like photo upload, photo sharing & photo downloading and more,. It meets very less requirements. It can be used as a PHP mini project for students. More details about this project is given below.